The exhibition of winners from the 2013 competition features 100 images dramatically displayed as illuminated large-format color transparencies. The images were chosen from more than 42,000 entries by photographers from 96 countries. “This spectacular exhibition outdoes itself year after year, showcasing the most incredible images of wildlife from around the globe. It is not to be missed,” said Ron Kagan, executive director and CEO of the Detroit Zoological Society. Now in its 50th year, Wildlife Photographer of the Year is co-owned by the Natural History Museum and BBC Worldwide. 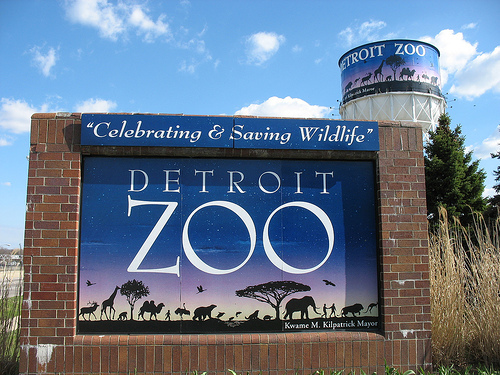 This entry was posted in Detroit, Things To Do and tagged animals, bbc, detroit, Michigan, museum, natural history, photography, Royal Oak, wildlife, zoo. Bookmark the permalink.